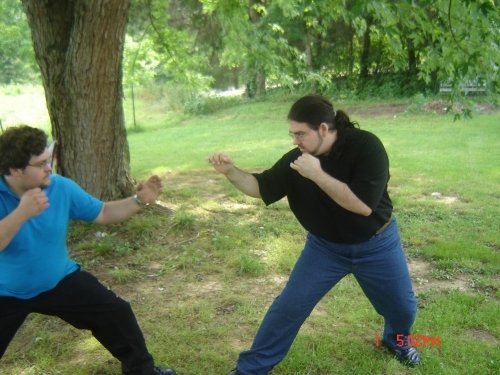 My brother Iz and I. Iz is a Shotokan karate guy, I'm a kickboxer. Fun times. I've won 9 duels at the Poetry Dueling Arena. I have had 2 pieces featured on the Featured Writings. I've hosted 1 monthly contest. I've hosted 1 continuous contest. I've hosted 3 one-time contests.